Piping hot food straight from the microwave usually means piping hot dishware. Pop a bowl of soup in the mic, and when it’s done, the bowl could be too hot to touch. Solving this dilemma is the Cool Touch Micro Bowl. 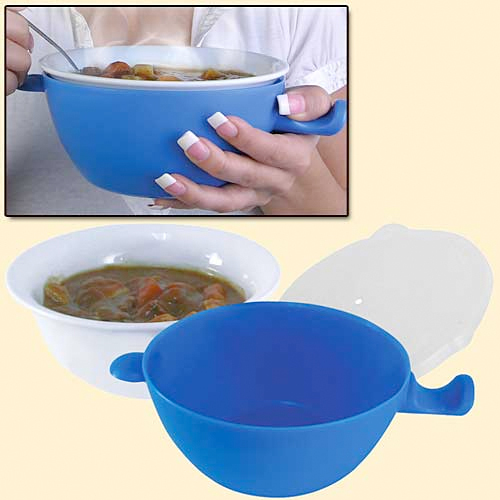 The three-piece design consists of a 17-ounce ceramic bowl and a finger-protecting plastic outer bowl; there’s even a lid included for storing leftovers. Just grab and go straight from the microwave. Now if only everything could be covered with a protective material.